Warren Buffett, also known as the Oracle of Omaha, is the third richest man in the world worth close to $60 billion, according to Forbes’ “2015 World’s Billionaire list.” And at 85 years old, the Berkshire Hathaway CEO shows no signs of slowing down. If you want to become the next Buffett — that is, an extremely successful investor, businessman and philanthropist — here are the steps you need to take and Buffett-like traitsyou need to adopt. At the age of 15, Warren Buffett was making $175 a month delivering newspapers, according to OldSchoolValue.com. From that job, he accumulated $1,200 in savings and bought a 40-acre farm in Omaha. The lesson? “Start saving money as early as possible, so that you get into the habit,” said Brittney Castro, founder and CEO of Financially Wise Women. Legend has it that when Buffett was in high school, he and a friend bought a pinball machine. According to WarrenBuffett.com, the pair put it in a barbershop, and it was a success. With the profits from the first machine, they bought more and ended up having eight in different shops. The friends eventually sold all the machines, and Buffett used the money to buy stocks and start a small business. If you want your fortune to continue to grow, the best thing you can do is keep reinvesting it. Of course, you can enjoy the fruits of your labor, but don’t spend it all. Did you know that Buffett attended college for only three years — two at the Wharton School of Business and one at the University of Nebraska? Although college costs weren’t nearly as high as they are today, it’s likely that Buffett saved money by finishing college in three years instead of four. And today’s college students will likely save even more. Unfortunately, many are drowning in debt. But, an early graduation can save you approximately $40,000 at a private college versus nearly $20,000 at a public college, reports Forbes. To graduate early, try taking as many credits as possible per semester. 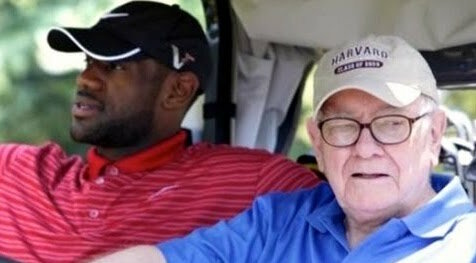 Ironically, Harvard Business School rejected Buffett after his interview. But instead of sulking, he headed to Columbia and met Benjamin Graham. Graham is a legend in the investment industry, and he became Buffett’s mentor. Much of Buffett’s incredibly investing success could arguably be credited to Graham and the lessons he taught him. “Turned down? Who cares, keep going, it happens all the time,” said Thomas Scuccimarra, vice president of sales at M&O Marketing. “You can’t take it personally, and you can’t let it push you off course of your dreams.” So even if you don’t get into your school of choice, keep moving forward. If Buffett had quit after Harvard dismissed him, he wouldn’t be where he is today. In 1951, when Buffett was digging around looking for companies to invest in, he stumbled across GEICO. To investigate the company further, he rode a train to the company’s headquarters. According to GEICO’s website, the office was closed, so a janitor let him in and luckily a top executive was there and they had a meeting. Afterward, Buffett made one of his earliest stock purchases and bought GEICO stock. Today, the insurance company is a subsidiary wholly owned by Berkshire Hathaway. Don’t underestimate the value of face-to-face communication. Sometimes a phone call or email just won’t cut it. Like Buffett, have a conversation in person to make connections and gather information. When Buffett graduated college, he wanted to work on Wall Street. He offered to work for his mentor Ben Graham, but Graham said, “no”, writes author James Altucher. So, Buffett went back to Omaha — but he still continued to pitch ideas to Graham. Eventually, Graham hired Buffett. Good public speaking skills can take you far in your profession. However, speaking in front of large groups can be terrifying for some — even Buffett. In fact, Buffett admitted that used to throw up before public speaking. But instead of letting his fear cripple him, Buffett took the necessary steps to improve his public speaking skills. He took a Dale Carnegie public speaking course and he learned that he could, in fact, speak in front of a group of people. Buffett went on to become an excellent orator. In the book “Icons of Business,” Kateri Drexler writes that when Graham closed his partnership, Buffett returned to Omaha. Luckily, he was in a good situation: By being a good saver and avoiding debt, he grew his savings from $9,800 to $140,000. He then went on to create Buffett Associates, Ltd.
Paul Tarins, president and founder of Sovereign Retirement Solutions, said, “When evaluating your cash flow, you should understand that the more revolving debt you carry, the more you will diminish the amount that can be invested.” By saving money and avoiding debt, you too can take advantage of investment opportunities like Buffett. In order to create Buffett Associates, Ltd., Buffett invested $100 and relied on seven of his family members and friends to help provide the financial banking. 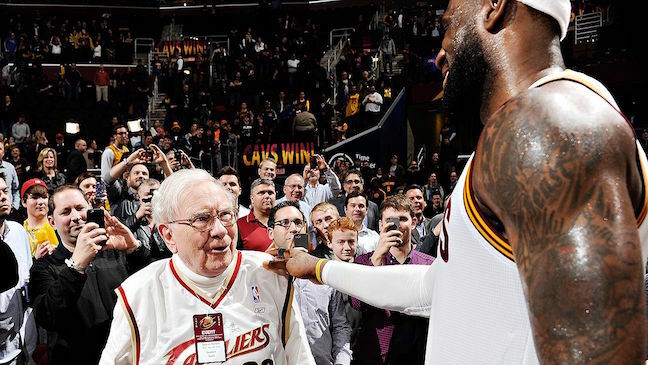 Without the support of his family and friends, Buffett’s company would’ve been hard to create. So surround yourself with people that believe in you — not only those who can financially assist you, but can morally lift you up as well. One could argue that Buffett wouldn’t be successful without Charlie Munger, his billionaire right-hand man. According to Omaha.com, the pair met in 1959, and today Munger is the vice chairman of Berkshire Hathaway. Buffett once wrote, “It took a powerful force to move me on from Graham’s limiting views. It was the power of Charlie’s mind. He expanded my horizons.” Together, they took on some of Buffett’s largest acquisitions, such as BNSF Corp.
Find a business partner that you trust and ultimately challenges your mind to be more successful. In an interview with C-SPAN, Buffett said his first investors “were betting on a 25-year-old that looked about 12 and acted 20.” But somehow — maybe because many of them were his family members and friends — Buffett was able to convince them to take a chance on him. Use your powers of persuasion to convince others to invest in your company or ideas. It might take some time, but it can be done. Berkshire Hathaway is located in a fairly average-looking building in Omaha. But since Buffett is worth close to $60 billion, shouldn’t his headquarters be in a nicer building? No. “Your personal image is not the perception of how successful you are. Don’t be someone you are not,” said Janis. Buffett owns who he is — a humble, grounded and notoriously frugal man. Flashy headquarters wouldn’t suit him. Own who you are, and it’ll resonate with those around you as authentic. Part of Berkshire Hathaway’s success is because Buffett put his money where his mouth is and invested in himself. Tarins believes that’s imperative if you want to become the next Buffett. Berkshire Hathaway does not pay a dividend. In fact, it paid out its only dividend of 10 cents in 1967, reports Investopedia. 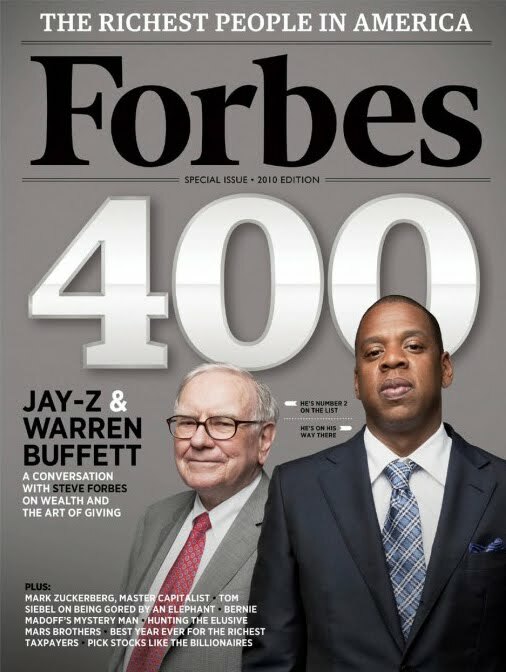 And Buffett claimed that he must have been in the bathroom when this happened. Buffett reportedly doesn’t like dividends for two reasons: they are taxed as income, and different investors expect varying levels of dividend payouts. Not receiving a dividend from Berkshire Hathaway is probably a sore spot for many investors. Regardless, Buffett refuses to pay one. To be like Buffett, stick to your guns if you believe in something — even if it goes against the mainstream school of thought. This is one of the hardest pieces of investment advice to follow. Many investors have the urge sell stocks when the market is down. Buffett doesn’t, and that’s why he’s such a great investor. To invest like Buffett you have to ignore stock market cycles, and put your emotions aside. Berkshire Hathaway’s core business was originally textile mills and Buffett maintained them for many years. In 1985, he sold the mill’s equipment because they weren’t making him any money. In fact, they were a drain on his company. According to Bloomberg Business, the “textiles produced a loss of 1.32 million” in 1985. The decision might have been tough for Buffett to make, but it was imperative to his success. To be like Buffett, you’ll have to make tough decisions. Buffett is famous for holding Coca-Cola stock; he purchased a 6.3% stake in the company in the late 1980s. And as of Feb. 18, 2016, Berkshire Hathaway has about a 9% stake in the company and its holding value is $17.5 billion, reports CNBC. Buffett certainly knows coke well — he drinks up to five cans a day, and he once said, “I’m one-quarter Coca-Cola.” Investing in what you know and like might be the smartest decision you’ll make as an investor.n. Honest business practices build trust between colleagues and among staff and even competitors. Moreover, investors then express confidence by offering more funding. The lesson? Be honest, it’ll likely help your business in the long run. As far as philanthropists go, Buffett is one probably one of the most philanthropic men in the world. Along with Bill Gates, Buffett is donating over half of his wealth. In 2010, he started the Giving Pledge with the Gates family, which encourages billionaires to commit to giving away a large portion of their money while they are living or in their wills.